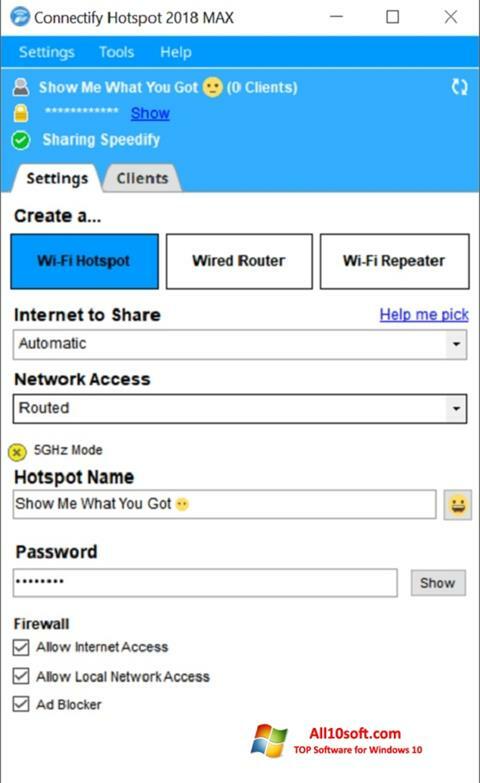 mHotspot for Windows 10 - utility for organizing a wireless network. Allows you to create a Wi-Fi channel and distribute the signal to connect to the global network. Optimized for mobile devices. The program provides the ability to manage tariffs - it can be recommended for owners of small Internet cafes with paid access. The interface has the ability to add a logo, which makes it possible to present the interface to visitors in an already branded version. You can free download mHotspot official latest version for Windows 10 in English.